For those serious about tension wound coils. Thread: For those serious about tension wound coils. I've been struggling with the whole tension wound coil thing.... found the solution, they've got a machine for that. Crisscross, Fatman, btobw and 1 others like this. Looks like a deadly apple corer. Midlife and Northerner like this. Gt was talking about tensioned coils in another thread and it interested me. gtadmin, Fatman, LimeB and 1 others like this. to be winding the wire from a reel or something so its wound with the same amount of tension. one of the older ones and after a while the screw wears and doesn't hold the rod tight. The point with using tension while forming the coil is to use the internal stress of the wire (residual and induced) to "force" the coil to hold it's structure, meaning that it will spring back to the shape you've formed it into when an external force has been applied and released ie it maintains the shape you want even if you have distorted it slightly while fitting to the deck or while threading the wick through the coil. Each of these stress relieves the coil material (in layman's terms, anneals it), negating the benefits of tensioning. Last edited by gtadmin; 28-11-15 at 08:41 AM. DogMan, sams and Tara like this. *Dr.F profession is a doc not a metallurgist, and i side with vaping metallurgists. It's been my experience that making a coil your way takes 2x as long as my way, without the advantages of a tensioned contact coil. But there isn't a right way. How is "your way" done GT? 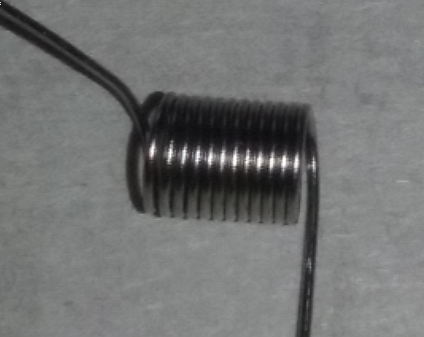 I've been screwing around trying to make tensioned coils work. Do you use some sort of jig?